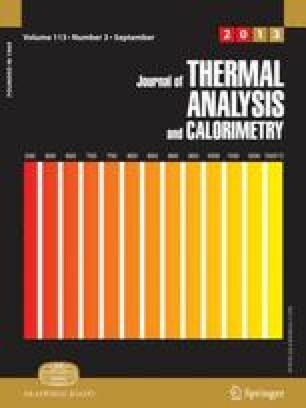 Thermal analyses were performed on Al+MoO3 thermite reactions as a function of Al particle size (ranging from 50 to 20 μm) and heating rate (from 2.5 to 15 K min–1 ). Results include ignition (onset) temperatures and heats of reaction. The nano-thermites initiate prior to reactant phase changes and at least 300°C below micron-thermites. The differences in ignition temperatures are suggestive of different ignition mechanisms. Nano-thermites display higher heats of reaction that are dependent on experimental conditions.